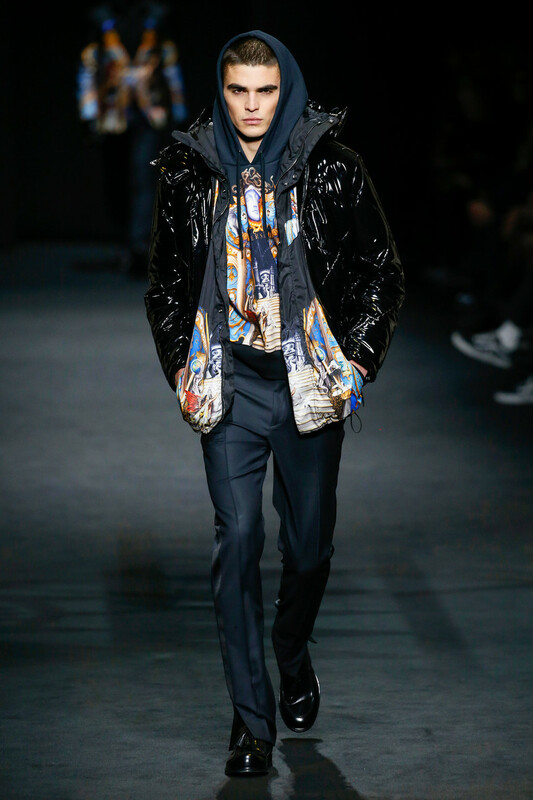 Gone were the beefcake models, the shiny Medusa logos — not to mention most of the flashiness that have become synonymous with Versace men’s wear. 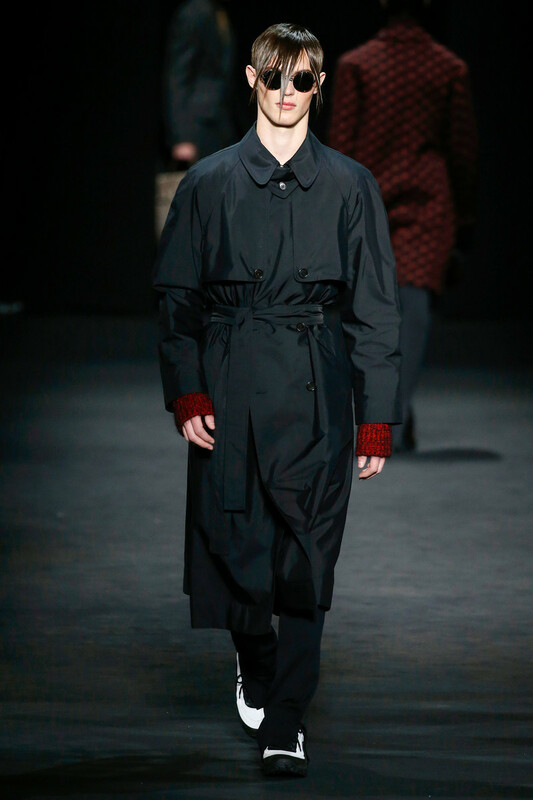 In their place came subtler elements: blanket coats, trenches and shearlings, and lean, sensible suits. 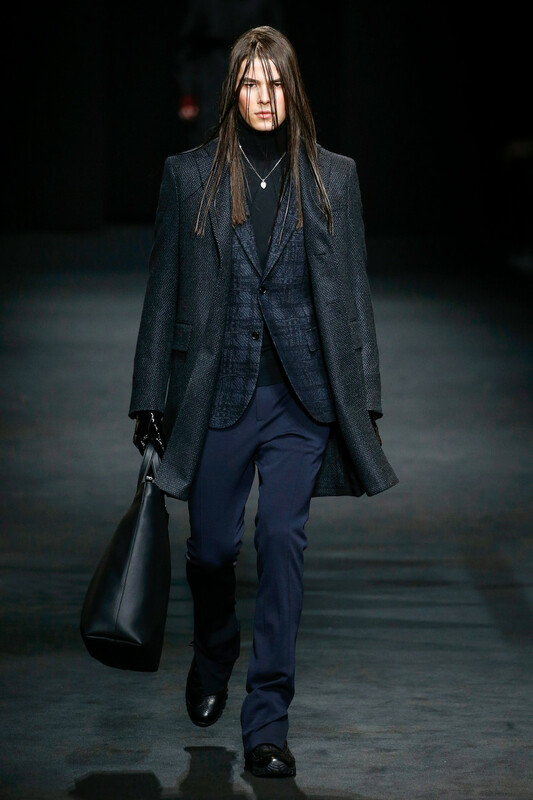 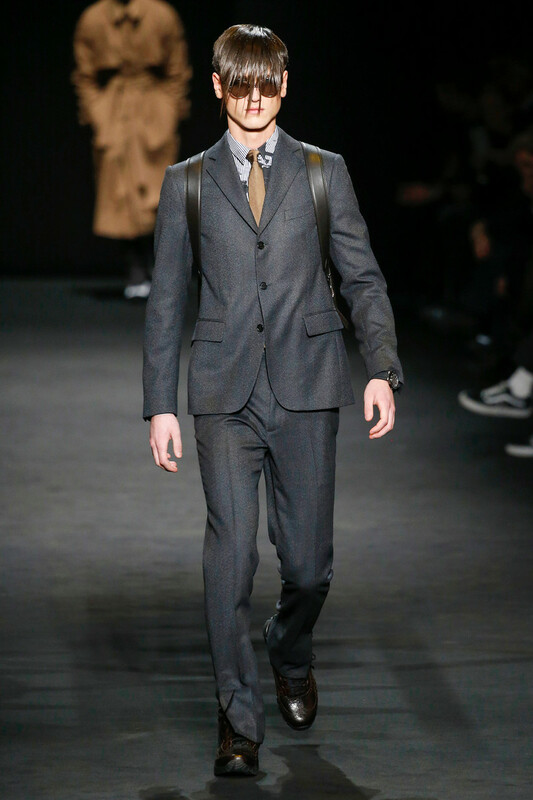 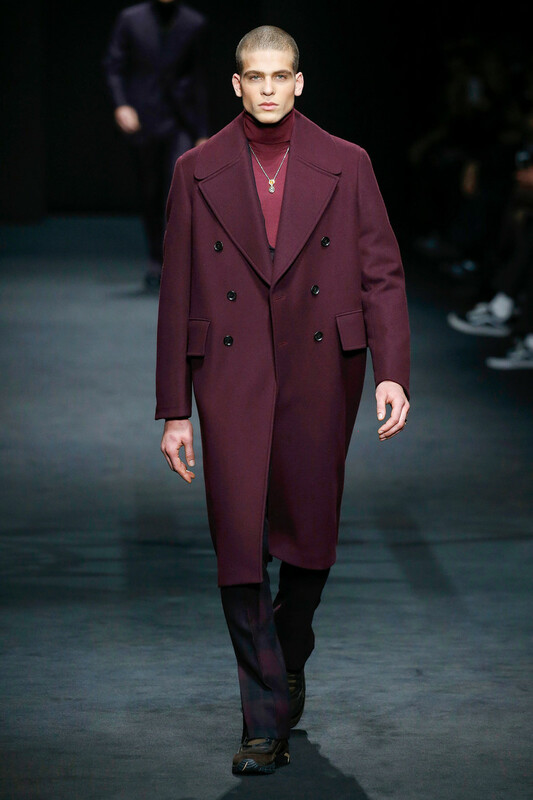 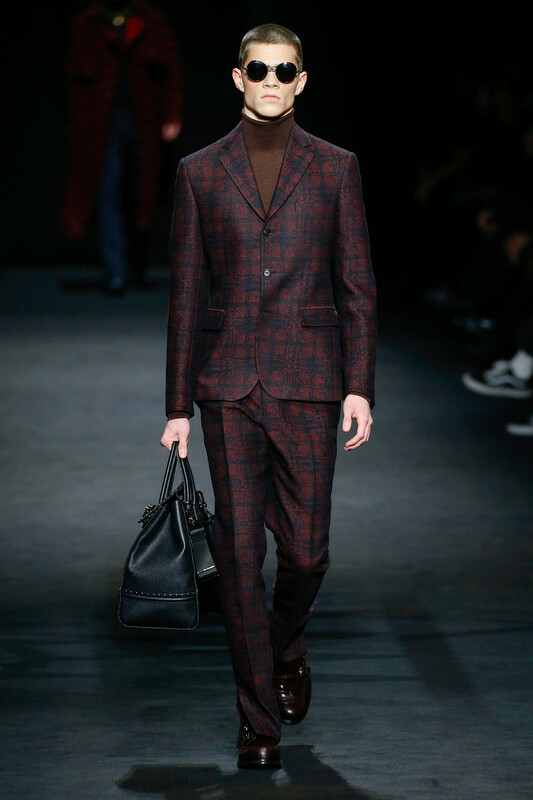 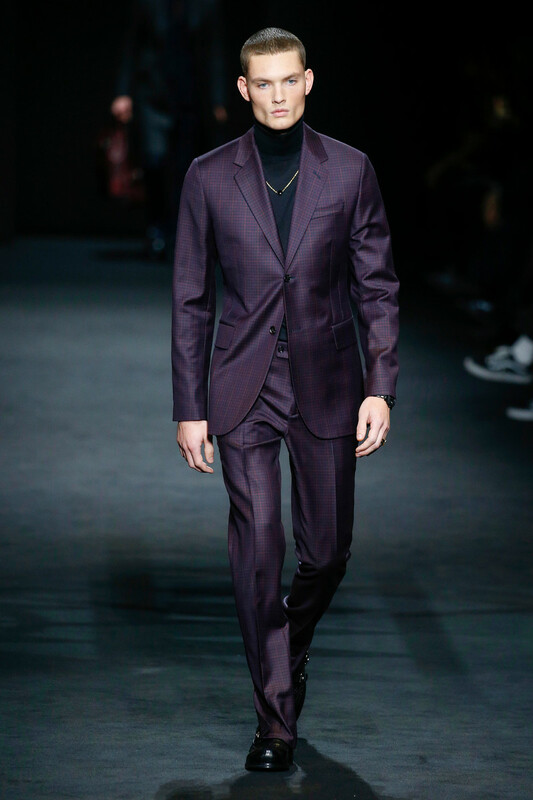 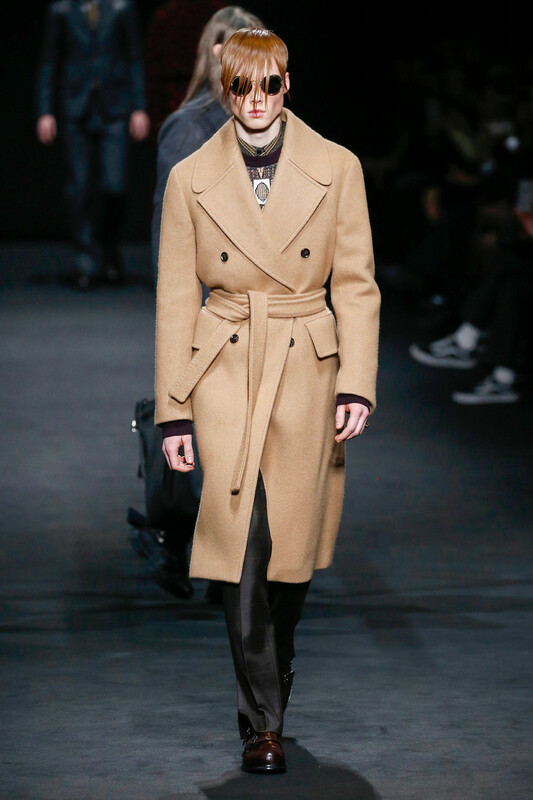 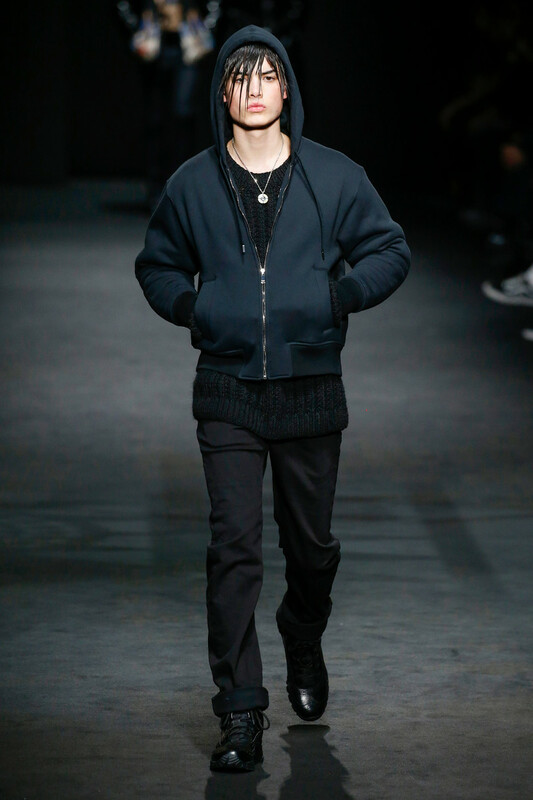 Donatella Versace’s mission this season was to dress a variety of men — not just showmen. 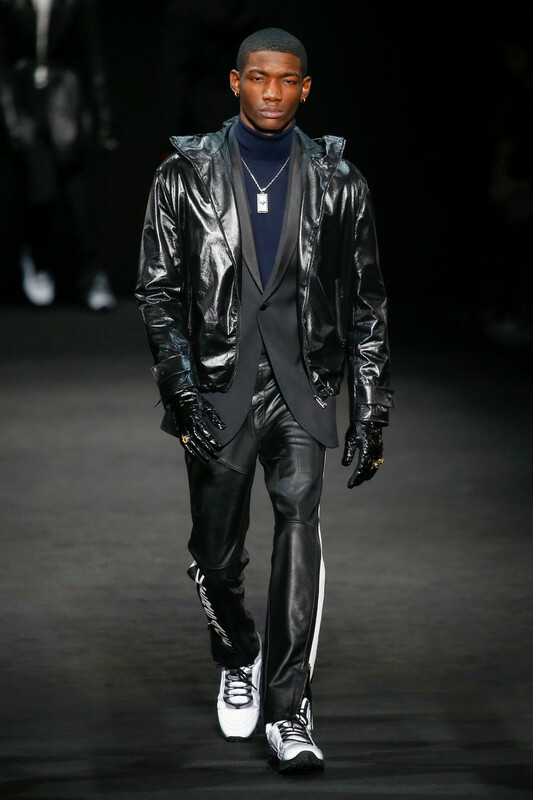 Versace replaced her tall, buff boys with an international cast of models who were smaller and, well, more “normal” looking. 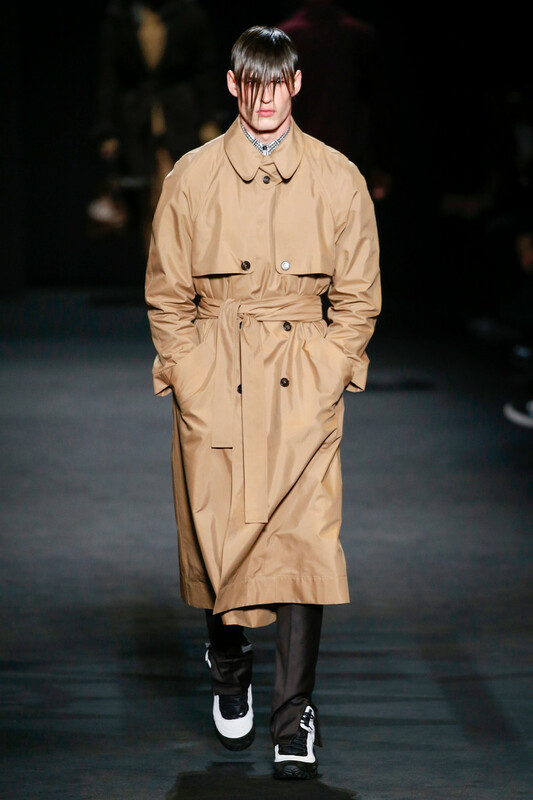 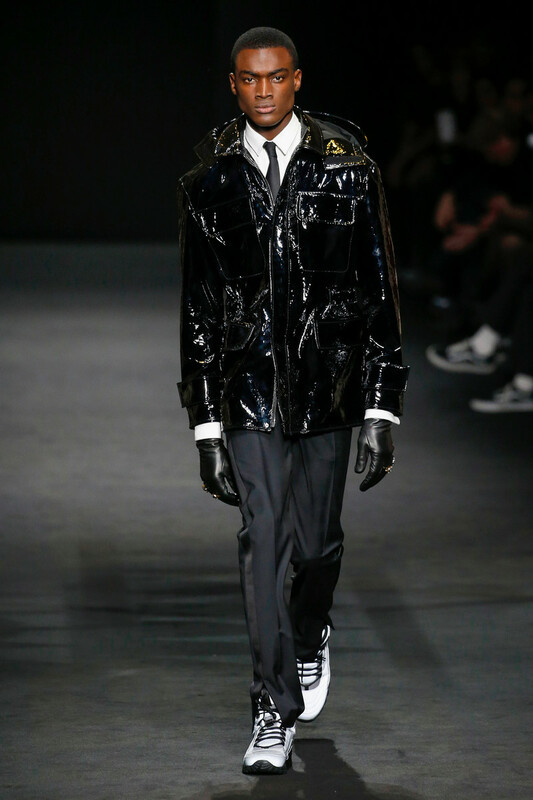 As they hightailed it down the multiple, intersecting runways they looked a lot like commuters — rich ones, at least — decked out in a variety of urban uniforms, staring straight ahead and striding with a determined step. 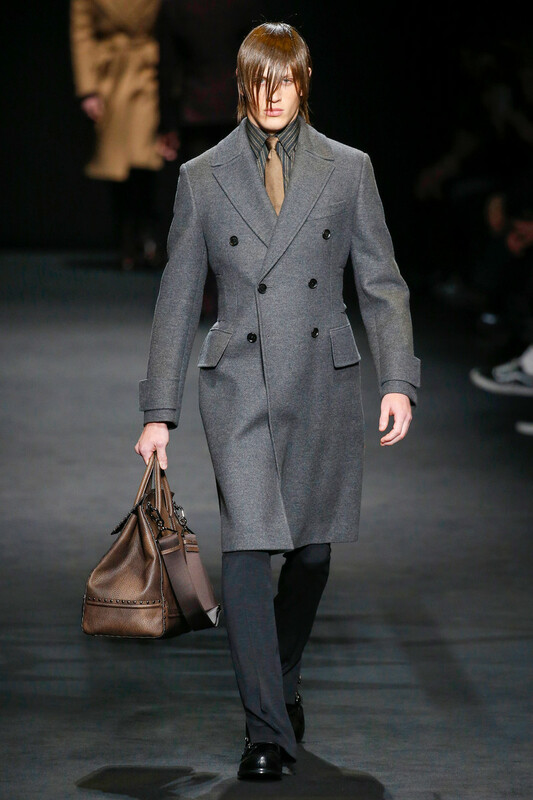 Some wore businessman clothes such as camel coats, trenches and lightweight topcoats, some of which were slit up the sides. 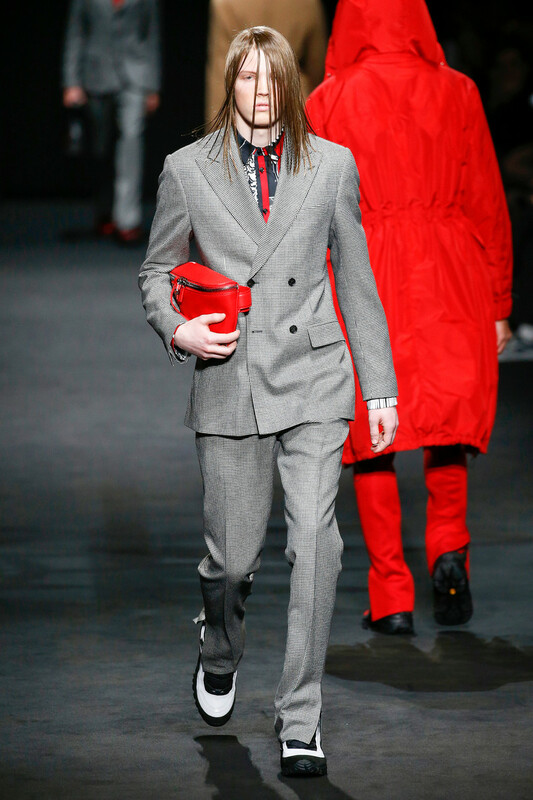 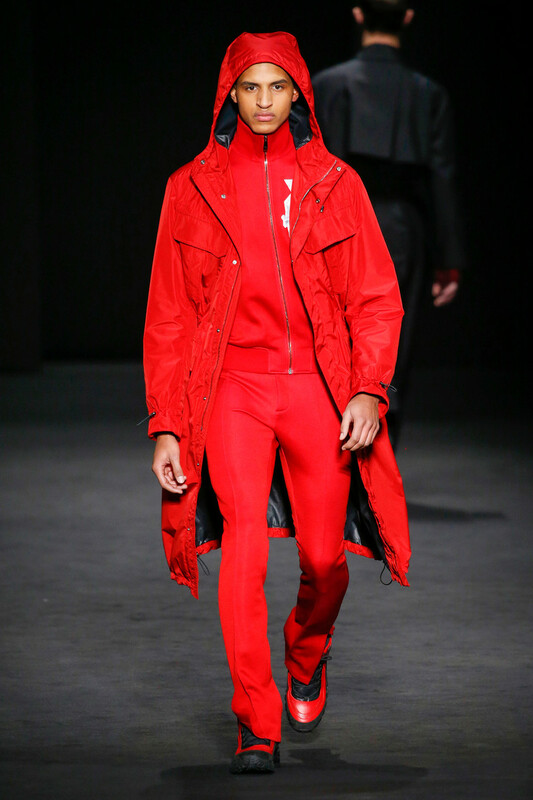 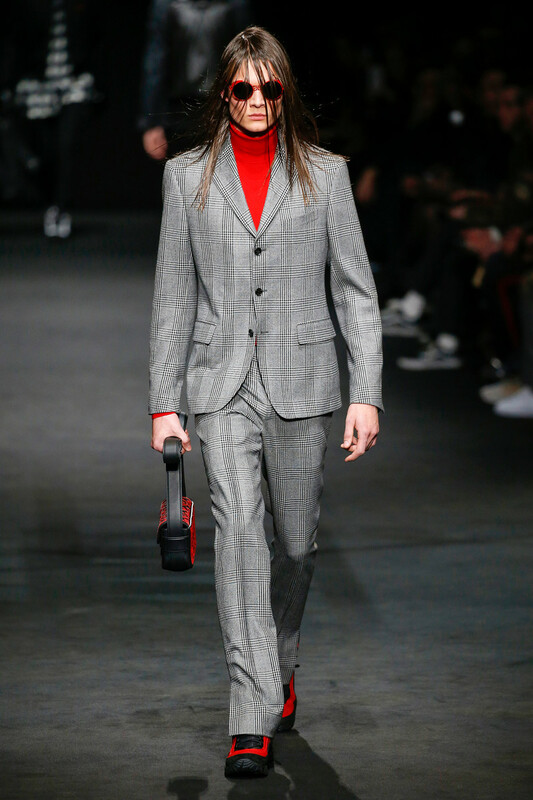 Suits were fitted while trousers flared slightly, and had little slashes at the bottom à la unzipped track suits. 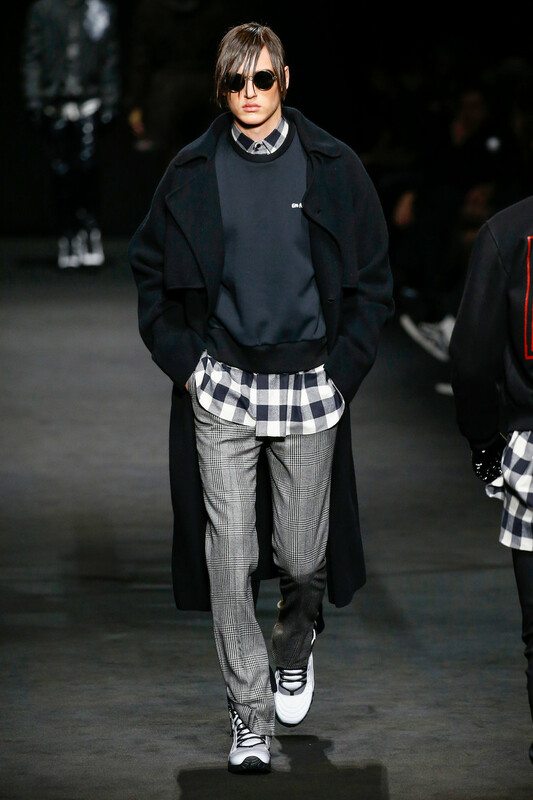 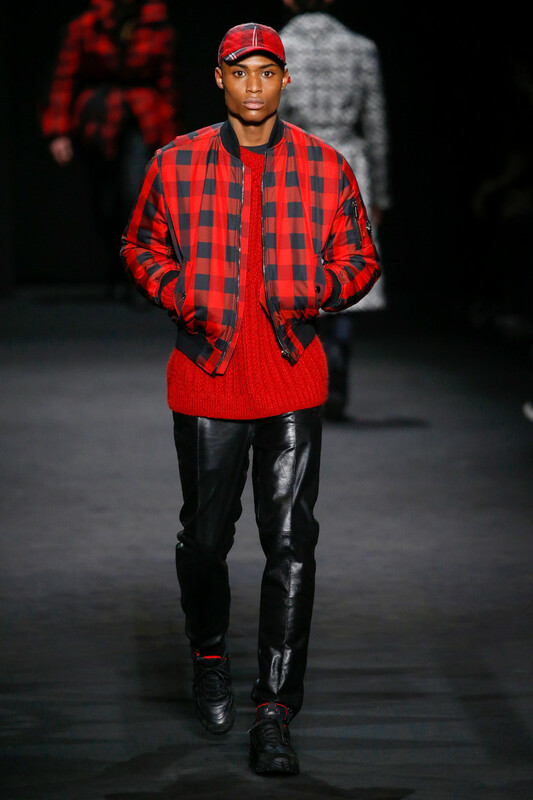 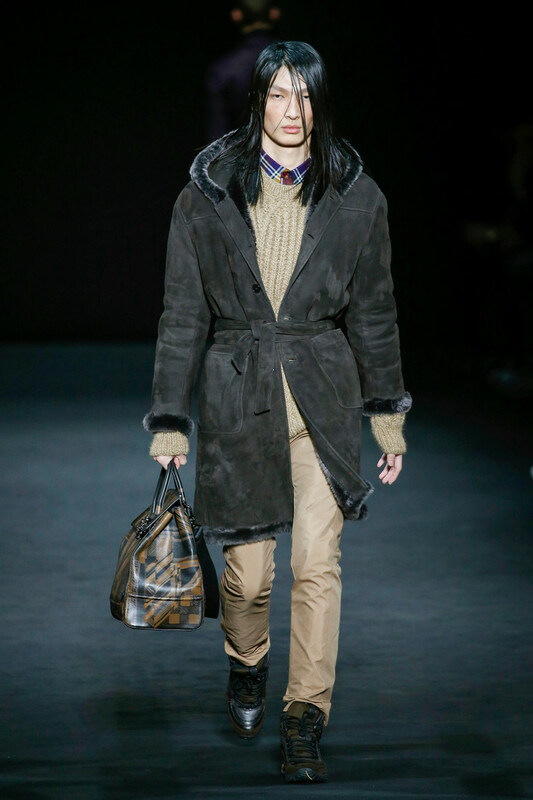 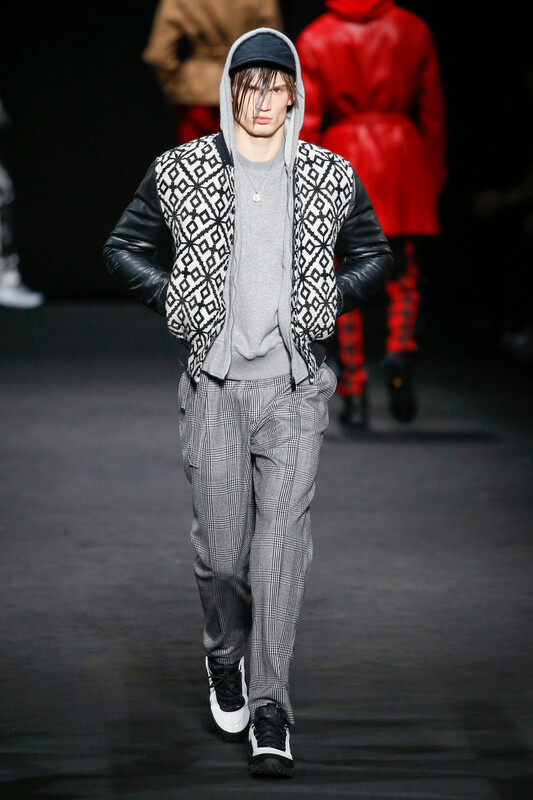 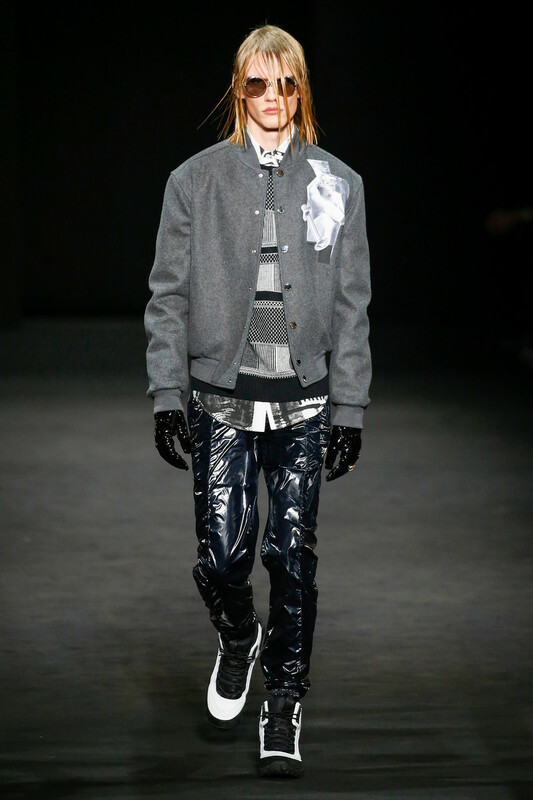 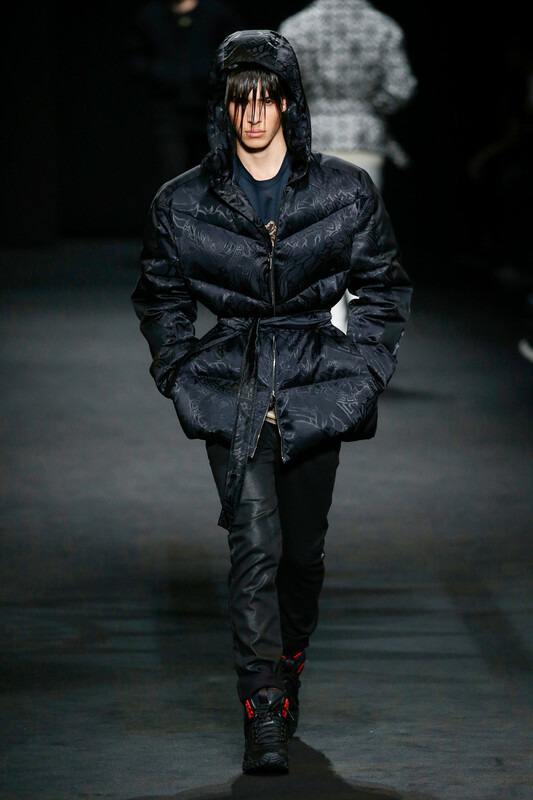 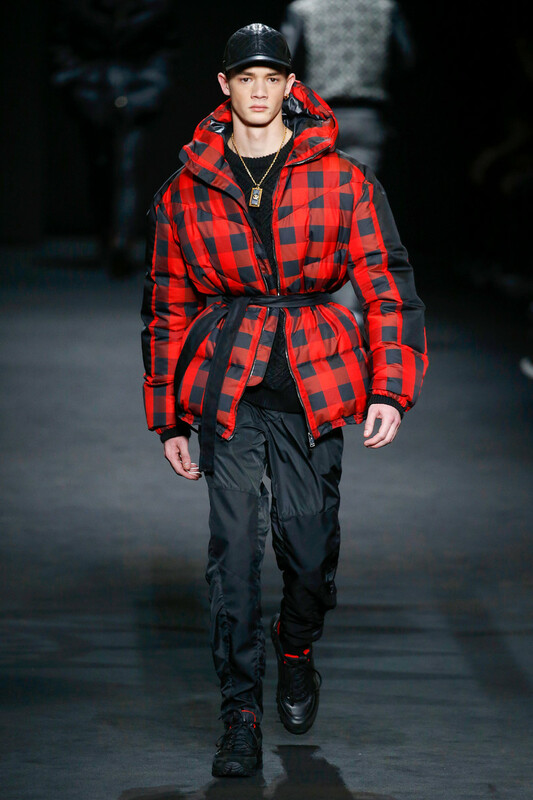 Other models worked a street-y look, dressed in puffers — with a lumberjack check — or a patterned bomber mismatched with plaid trousers, and a baseball cap. 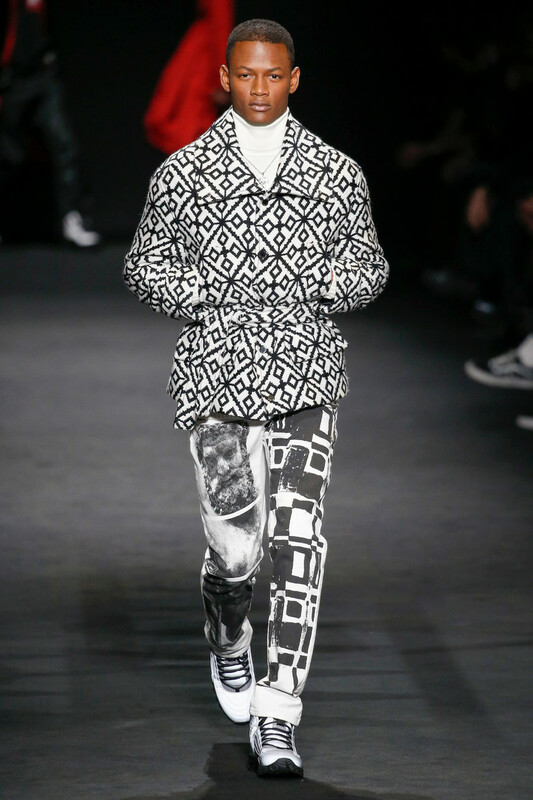 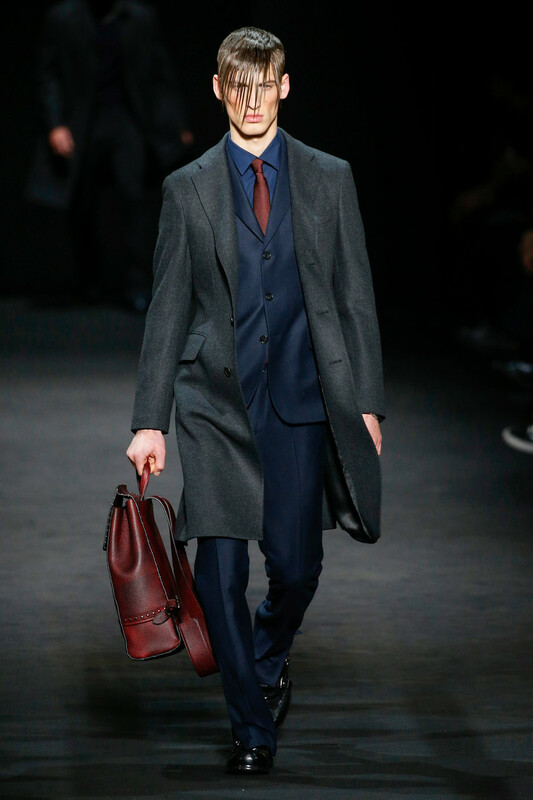 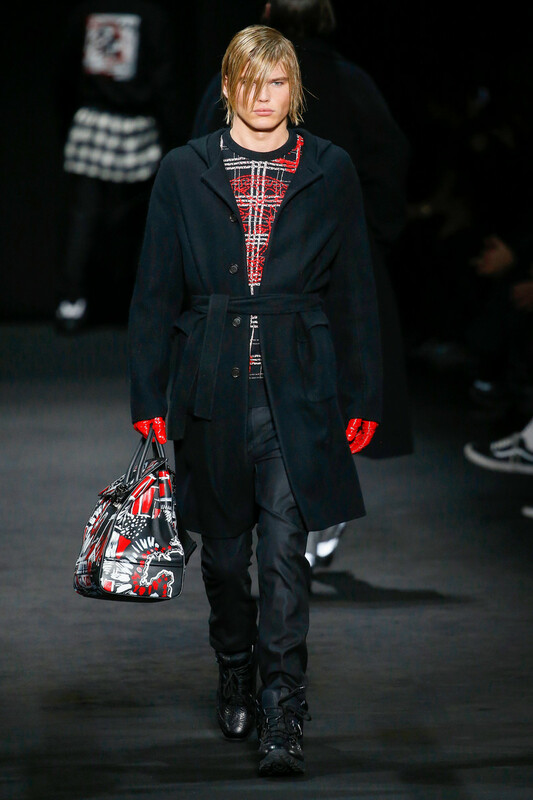 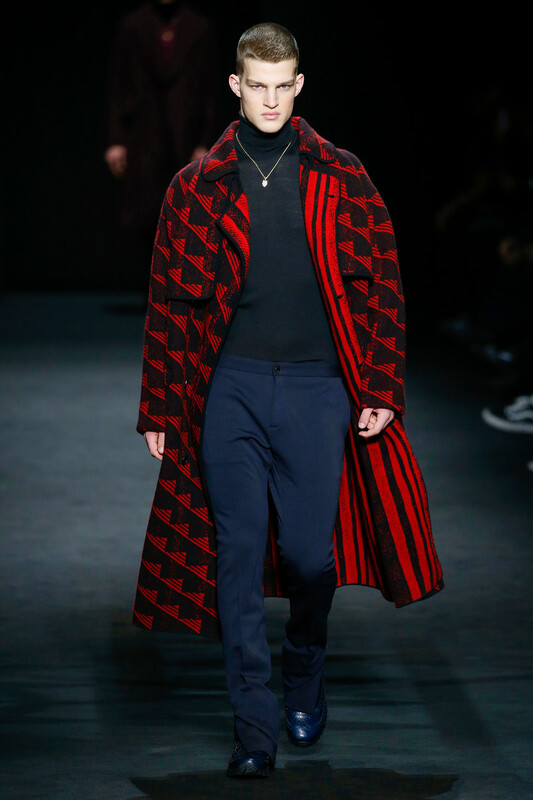 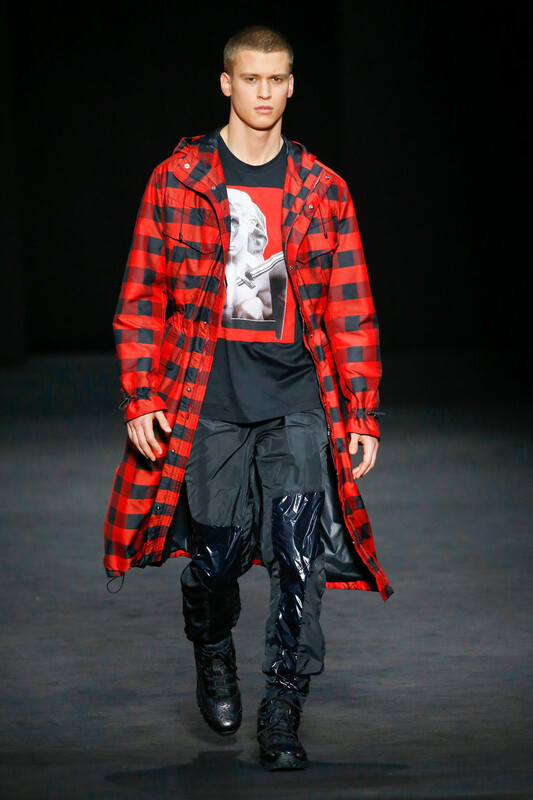 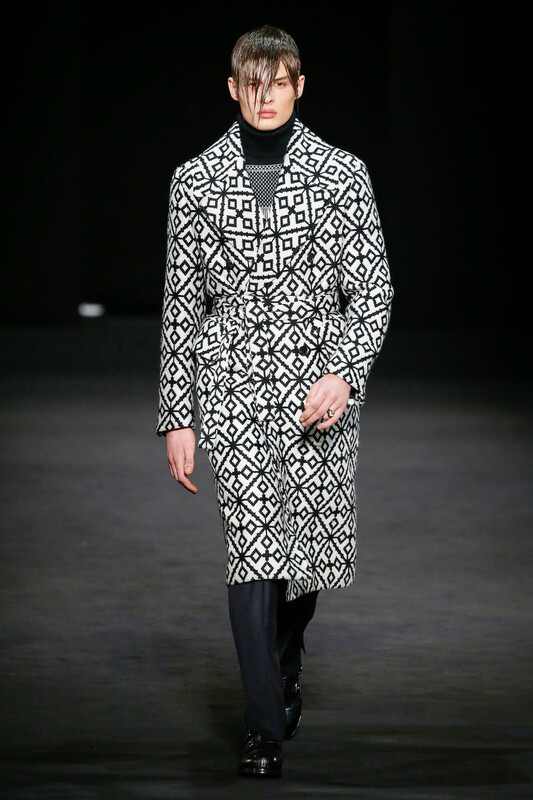 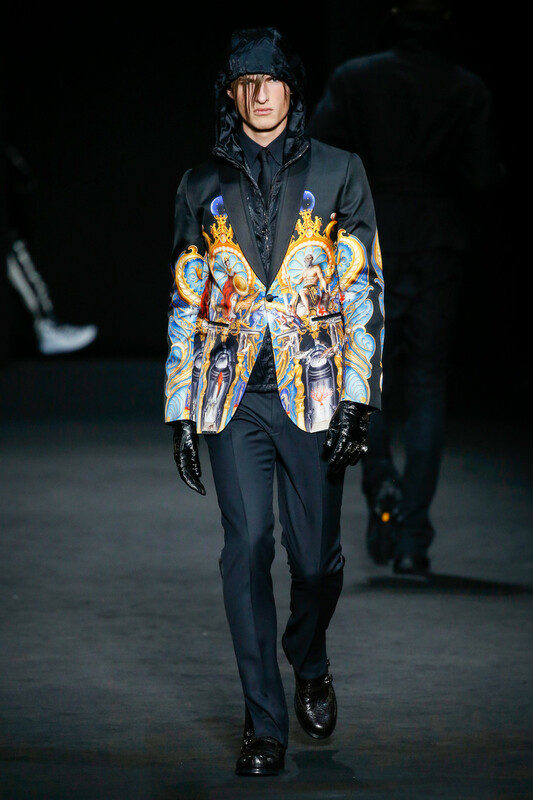 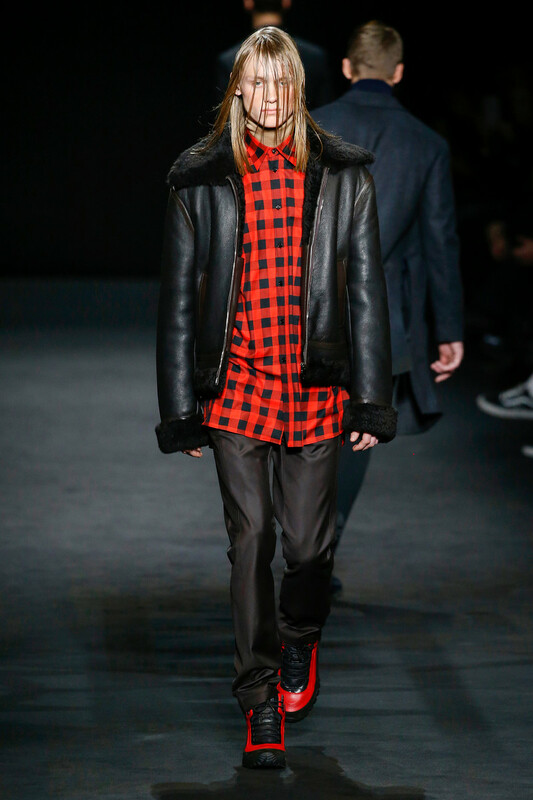 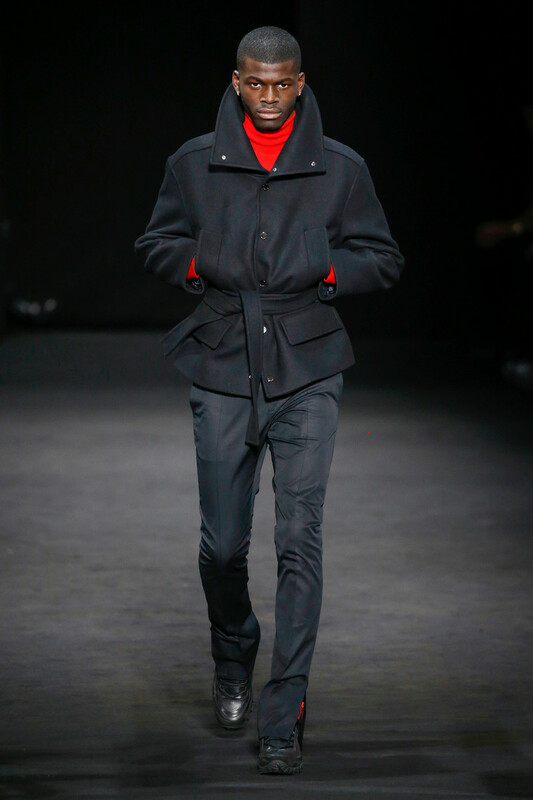 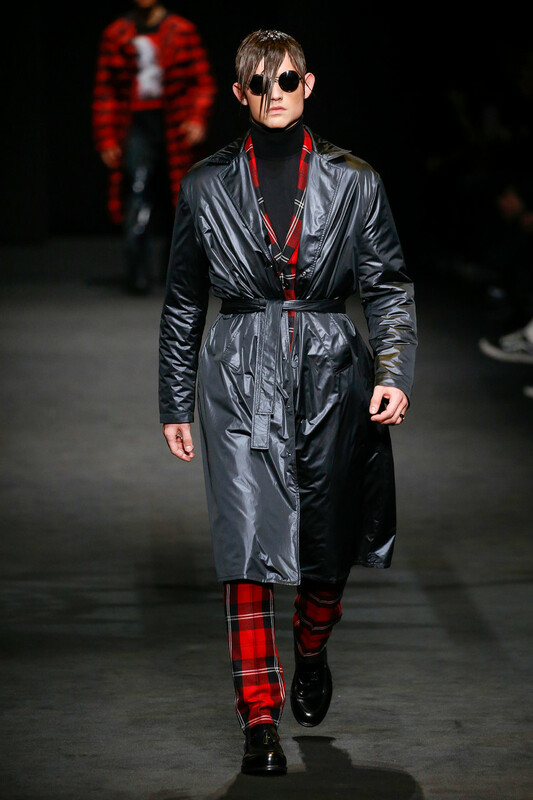 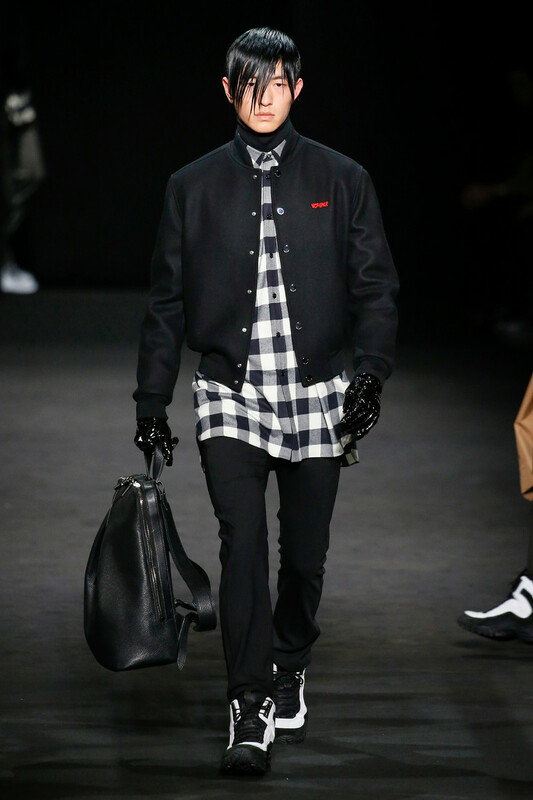 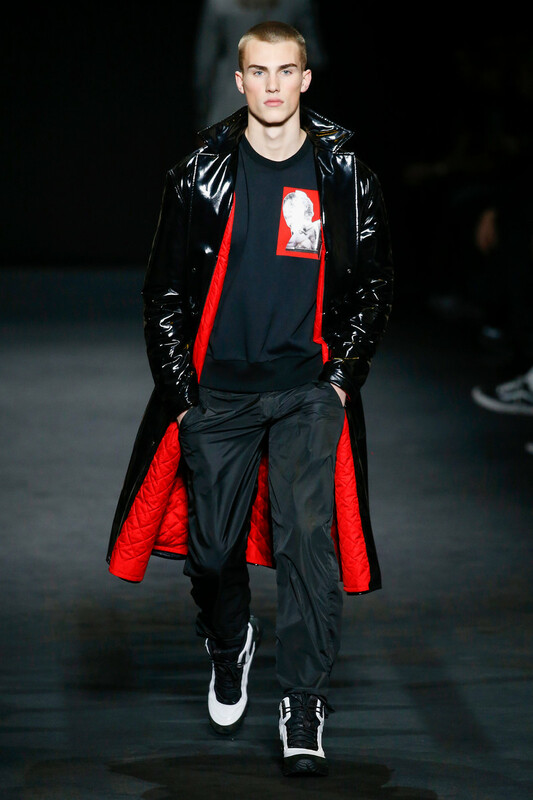 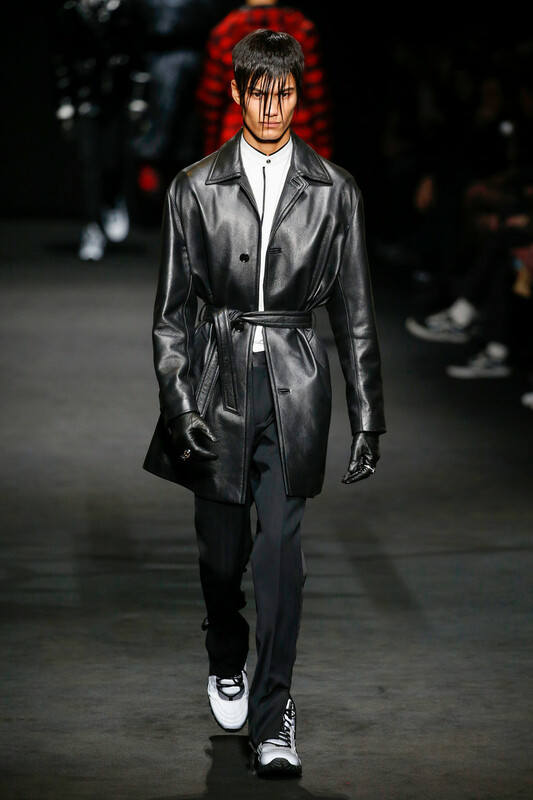 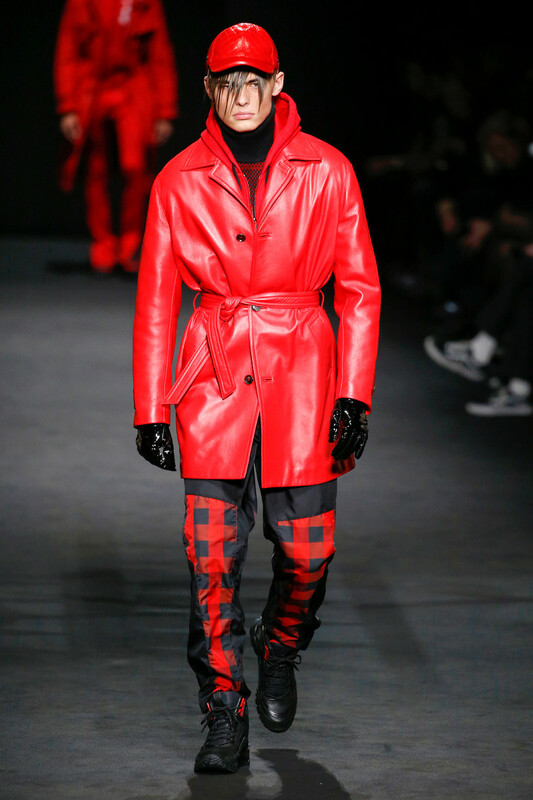 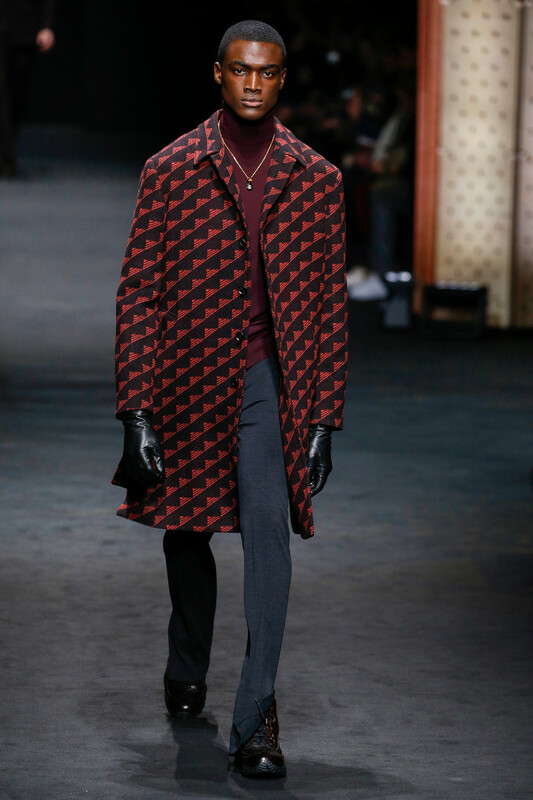 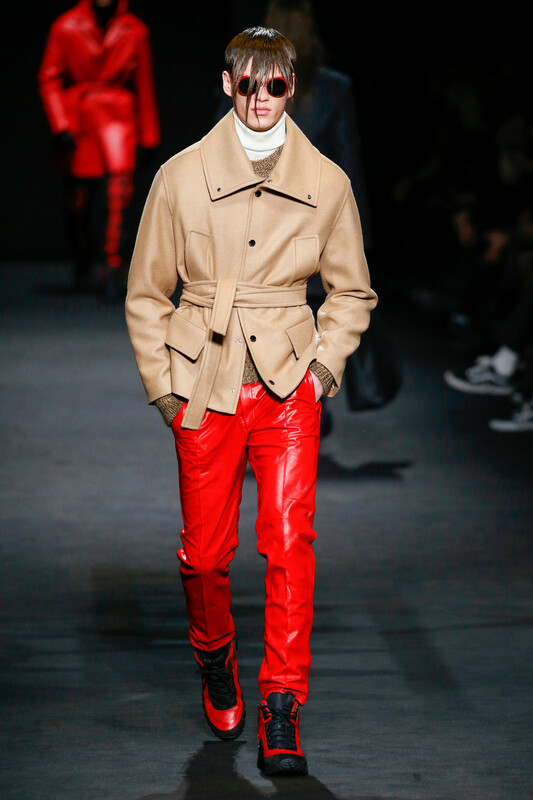 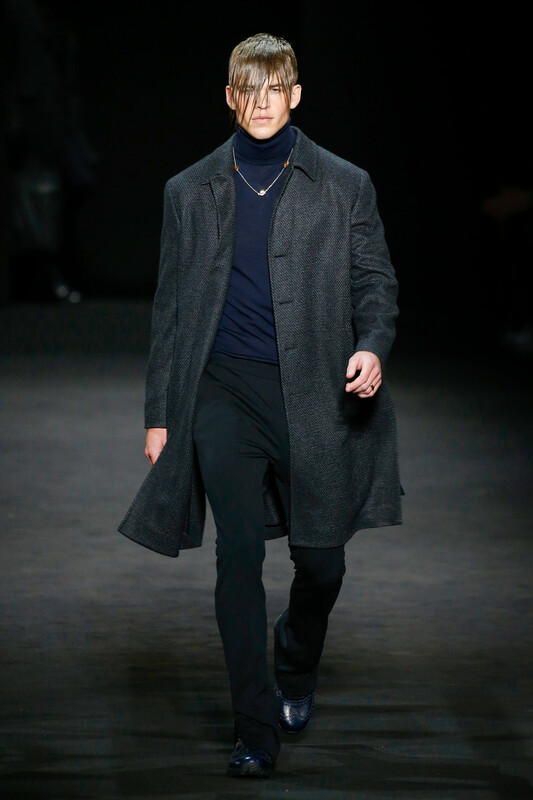 Among the highlights was a soft black-and-red blanket coat with a triangle pattern, inspired by traditional Jewish textiles, a dark suit with an original, off-kilter tartan drawn by hand, and hoodies and tops adorned with collaged photographs of neo-classical statues.